Followed the recipe using vegetable broth and more salt and it turned out fantastic. Incredibly filling also. I will definitely make it again. I made this for dinner last night, and it was a winner! This felt like fancy restaurant fare, with the thick and creamy sauce, slightly sweet with with a hint of smokiness. I added some sliced roasted garlic smoked sausage, which added to the flavor nicely. I was pleasantly surprised when all three of my kids were clean platers – no dinner arguing here! Also served with homemade breadsticks. A winner all around! Thanks for another great recipe!! 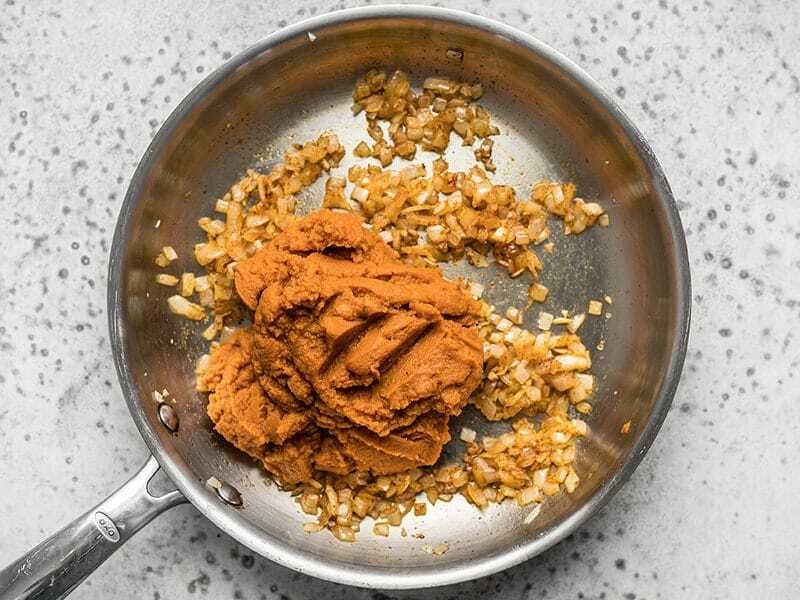 Also, instead of chipotle powder used one canned chipote in adobo (diced) plus 1 tsp. of the adobo sauce. Spicy but not overpowering, in my opinion. I used an immersion blender to make the sauce smooth. Went ahead and used a full 12 oz. box of pasta and still had plenty of sauce! 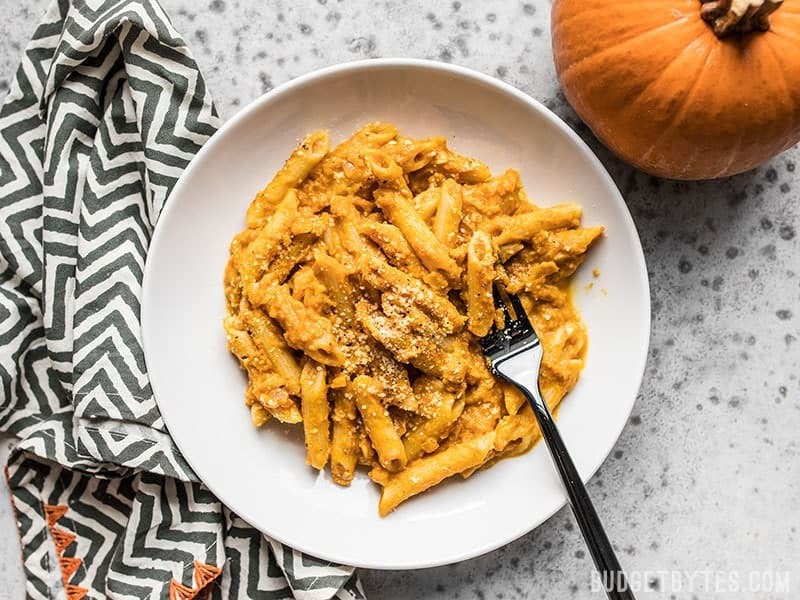 As someone who’s on a diet and who furthermore doesn’t care much for pumpkins, I thought this would be a great (read: mildly unpleasant) way to reintroduce pasta back into my stomach without having to contend with the usual pasta problems like quadrupled serving sizes and self-loathing. Aw, crap. Could I use a minced chipotle chili in adobo sauce to sub for the chipotle chili powder? I have the former in my freezer. Delicious recipe! Added Italian sausage and got rave reviews! Thanks Beth! Looks so delicious (and really excited about the coconut milk sub above, too!). Also, totally didn’t realize you were in Nashville – that’s so exciting! I made this last night! 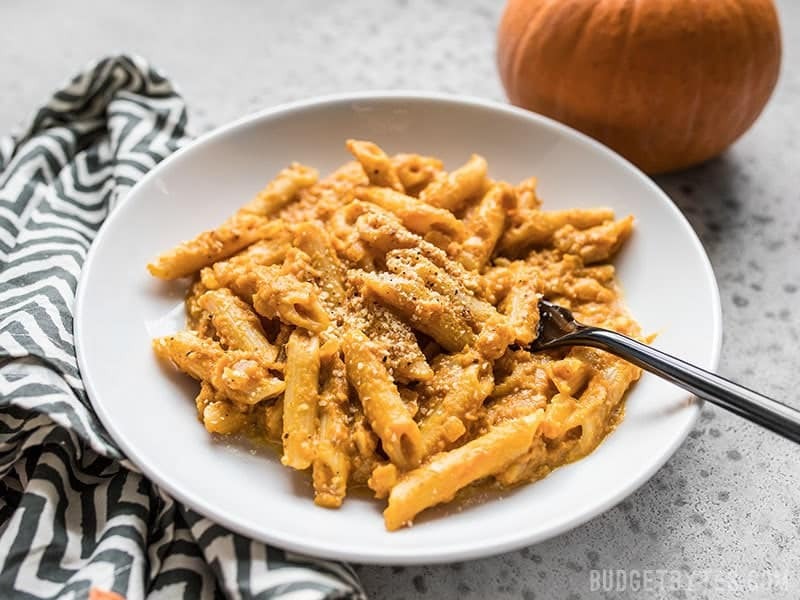 I had opened a can of pumpkin puree a few days ago and was wondering what to make with the rest when this popped up in my feed. I veganized it for my partner, using vegetable Better than Bouillon, and coconut milk instead of heavy cream. I would have used cashew parmesan, but I didn’t have any left. It was delicious! It’s going into the “to make again” file. Thanks! This recipe was delicious! 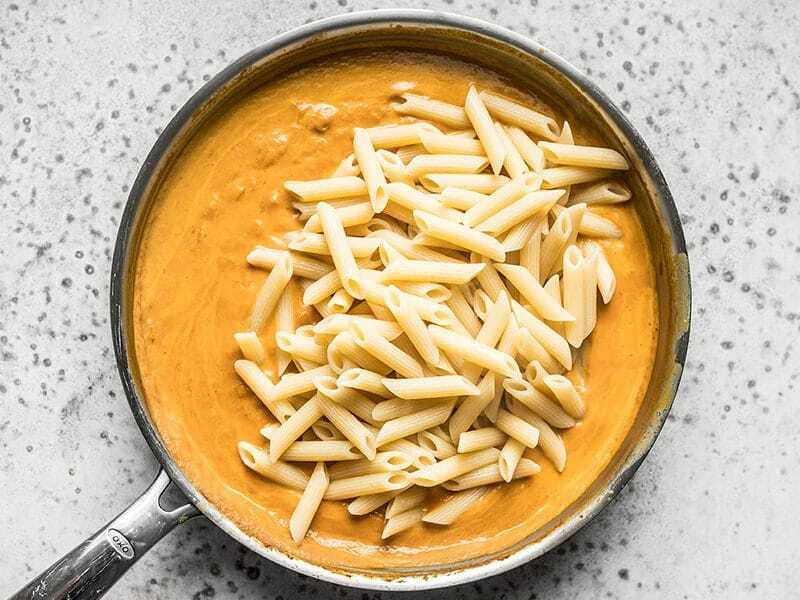 just the right amount of pumpkin and chipotle. I ended up doubling the recipe to make a few lunches throughout the week and added some farmers sausage for extra protein. Is chipotle powder the same as chili chipotle powder? And if not, where do you find it? And could I sub regular chili powder? I’ve mixed chili powder,paprika and sriracha before to sub for chipotle powder and it came out great on the dish I was cooking. I might do that here too! Your ‘chili chipotle powder’ is probably quite similar. 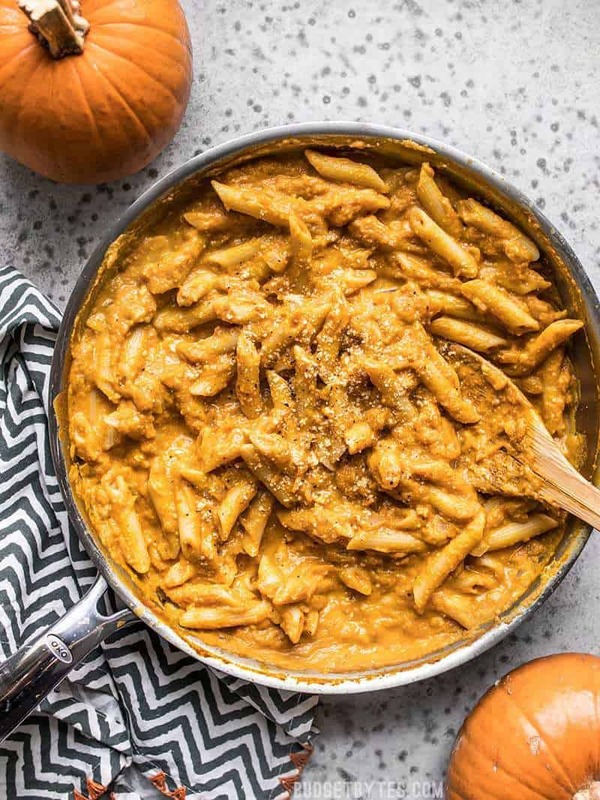 Using chipotle powder would give the mixture a smoky, spicy, taste which would go along with the pumpkin really well. You could use another chile powder but it wouldn’t give it a smoky taste. A chipotle is a smoked jalepeno. Smoked paprika would give it a smoky flavor but it wouldn’t be spicy. I ended up finding chipotle powder but still found the dish very flavorless. I added half again what it called for and then about 1/2 t of chili powder and that was much better. It still found it underwhelming overall and probably wouldn’t ever make it again. Seasoning is such an individual matter. 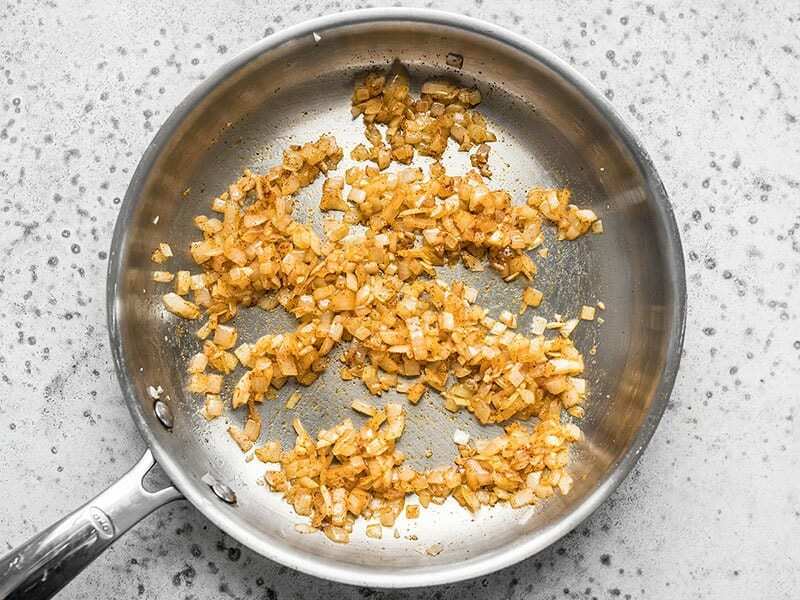 You just have to experiment and adjust seasoning until it tastes good to YOU. Remember pasta absorbs flavor like crazy so if you make the dish ahead of time and eat it later, it may taste bland. 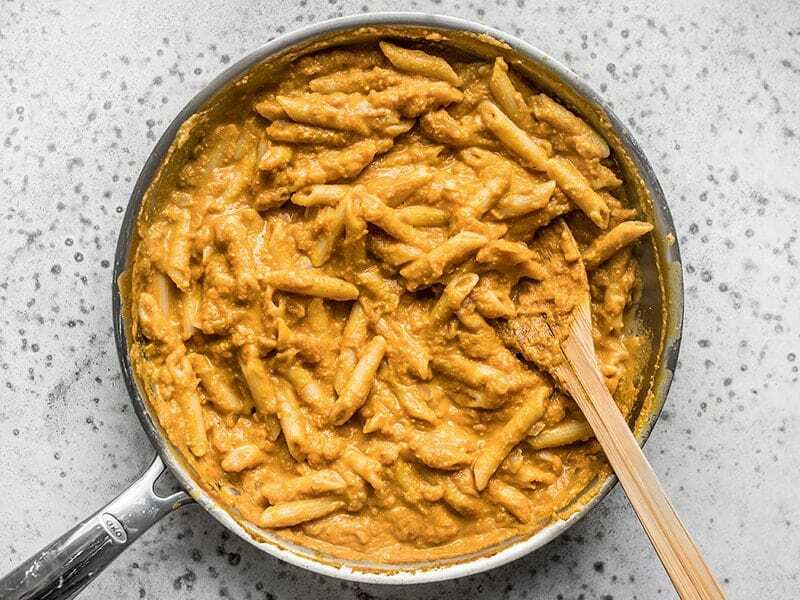 I’m single so I prefer to make the pasta and whatever sauce I am using separately and then combine however much I want for a meal. Tastes much more flavorful and I often don’t need to use as much sauce at a time. 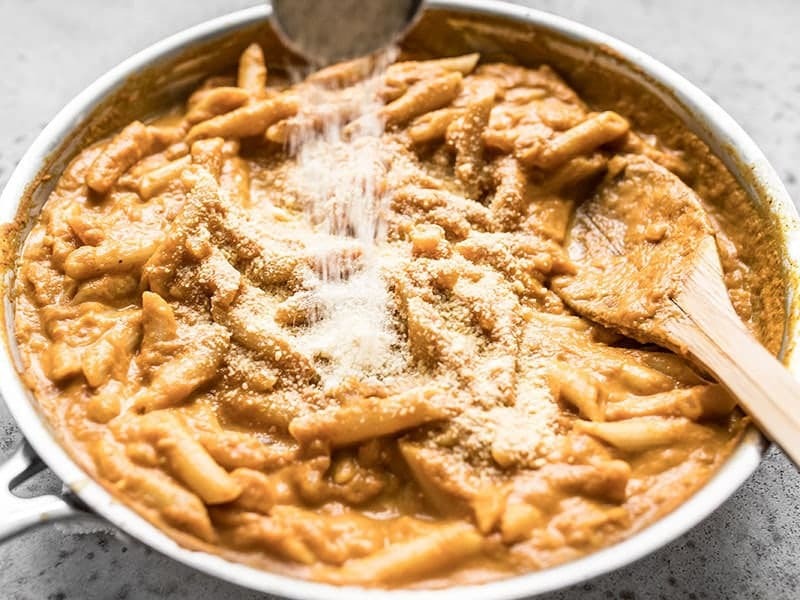 Pasta lasts about a week in the refrigerator just add a little oil after you drain it. Most sauces also hold in the refrigerator. Often I freeze individual portions of pasta and sauces and that works pretty well too. You might have needed an extra pinch or two of salt, as well. Salt can really help pronounce flavors and helps your tongue distinguish different layers of flavor. So a lot of times when something tastes bland it actually just needs a touch more salt rather than more spices. 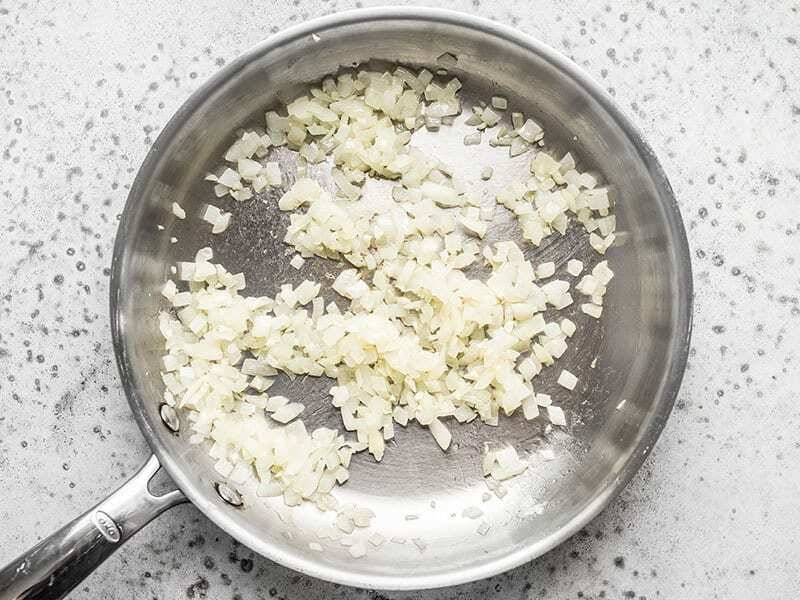 In this recipe the chicken broth provides most of the salt, but if your chicken broth was lower in salt, it may have needed more salt at the end. This looks delicious! 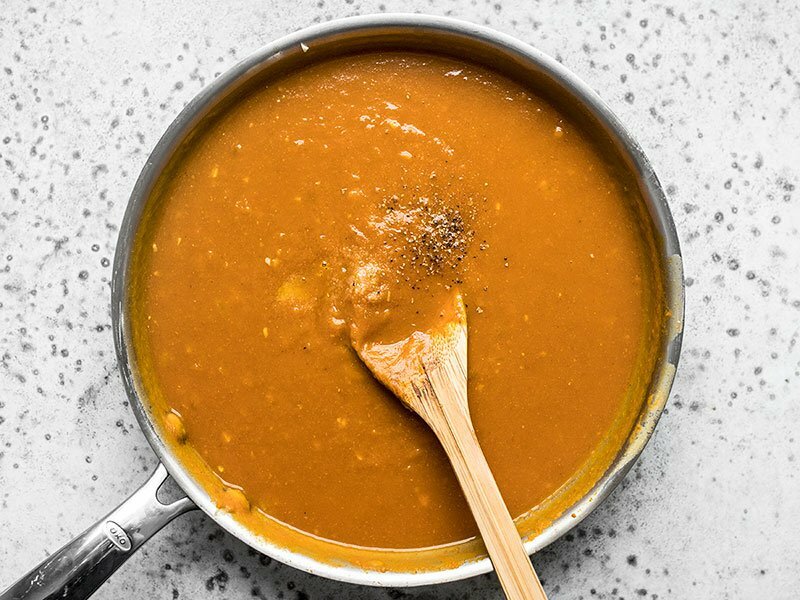 Would you use any additional liquid if having as a soup instead of a sauce? Maybe only a half cup or so, it just depends on how thick you like your soup. :) You can make it as directed, and just stir in more as needed at the end. 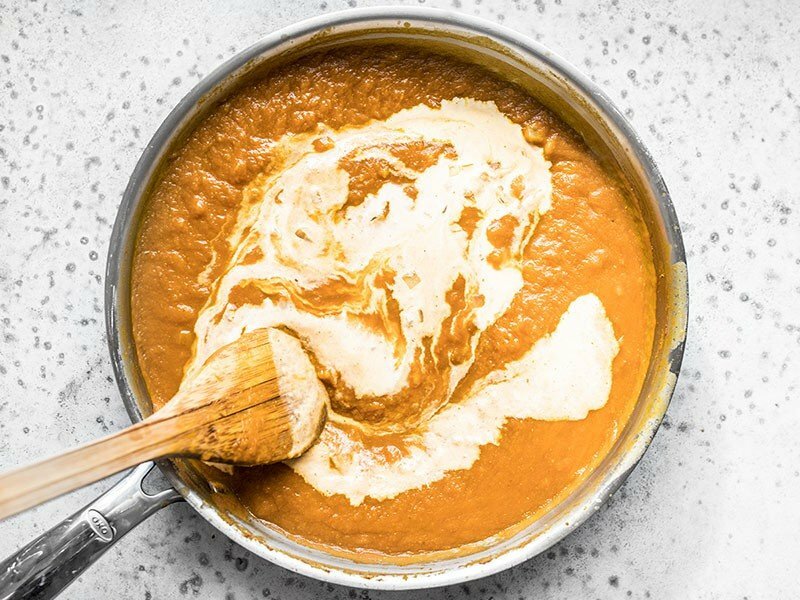 Under the photo of the pumpkin puree you wrote “sweated and spiced”, guessing you meant sweetened?